BioHuntress, a biotech start-up created by UNB Saint John senior scientist Dr. Alli Murugesan, is one of eight semi-finalists for the BioInnovation Challenge 2018 to be held on Nov. 8 in Halifax. Dr. Murugesan aspires to help researchers translate their breakthrough biomedical discoveries. As an incubator within academia, BioHuntress will play a key role in establishing a research to market reputation and repeatable set of processes for life science researchers. Dr. Murugesan is leading by example by putting her own research on the translational and commercialization track. BioHuntress' first venture is to develop nature-inspired, targeted and well-tolerated drugs for blood cancers and bone diseases that deliver better treatment outcomes and patient experience. She believes that academic researchers with a passion for commercializing their intellectual property can make a meaningful difference in people's lives. 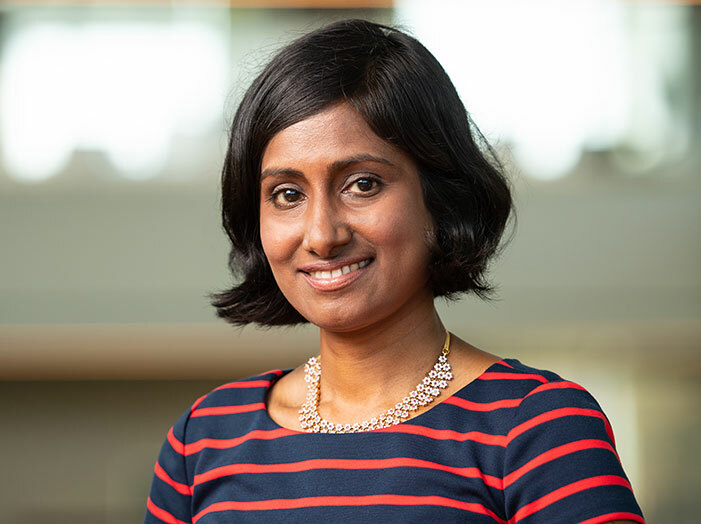 "The true value is ultimately realized when the hard work and research findings move beyond scientific journals to get translated into a drug or products that can benefit society," says Dr. Murugesan. The BioInnovation Challenge is a business competition that recognizes significant commercialization potential in health sciences within Atlantic Canada. The successful finalist will receive $25,000 in funding to develop their business and $30,000 of in-kind advisory services and training to accelerate the startup of their company and prospective business growth. Dr. Murugesan is also the recipient of the 2018 Mitacs Global Impact Entrepreneur award.